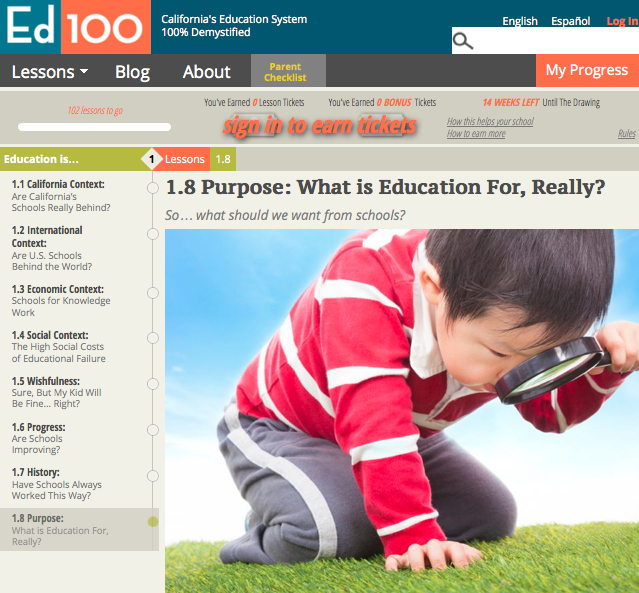 Ed100 offers a 100-lesson readable guide to education issues in California. Paying kids to do homework is a controversial issue among parents. Paying parents to do homework ­– about critical issues affecting their kids’ schools – is a good deal from the California State PTA. The PTA has announced a raffle in which it will pay nine parents a combined $6,000, as donations to their local PTAs, if they take Ed100, a short, self-directed online course on California’s education system and its big changes, including the Local Control Funding Formula and Common Core. 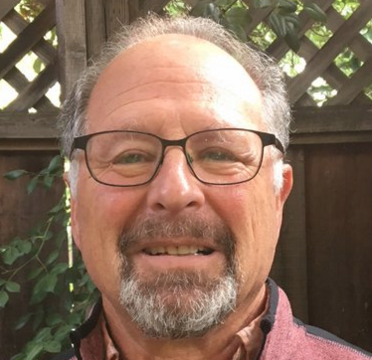 Created by Jeff Camp, a former Microsoft Corp. manager and a longtime champion of public involvement in schools, Ed100.org is a free, 10-chapter course that offers the context and background on issues relating to students (who they are in California and what their needs are); teachers (preparation, pay, evaluation, collaboration); finances (from Prop. 13 to Prop. 98); and measurements of success (Common Core and college and career readiness). Ed100 is broken into 100 lessons. PTA will award a raffle ticket for every lesson completed, with bonus tickets for taking the full course. Winners will be drawn in time for presentation at PTA’s annual state conference in April. Five winners will receive $1,000 and four will win $250 as contributions to their local PTA. For a short video about the contest, go here or here for a Q&A. Is this PTA as in the capital letters, or will they also support schools with an unaffiliated PTO or PTSO type organization, if such a parent should be drawn? El, thanks for asking. Anyone can participate in the course, including non-parents — we are hearing about aspiring board members and teacher leaders using the lessons. The prizes, which are sponsored by the California State PTA, can only be won by a PTA (yes, the capital letters version). Full rules available at http://ed100.org/rules. At this point we have already served thousands of lessons! Thank you to EdSource for helping boost awareness.